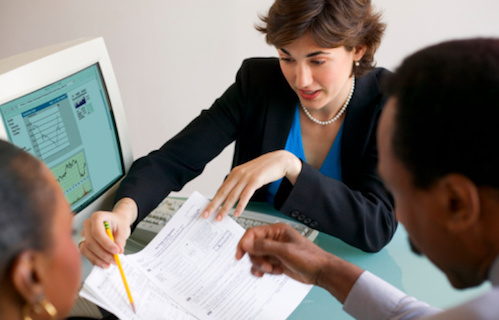 The work of a CPA is woven into people’s complex financial affairs. When people’s finances take a turn for the worse, they have a basic desire to get their money back — which makes their certified public accountant an attractive target. There’s no way to avoid every lawsuit, but CPA firms can take many steps to reduce their litigation risks. Check out these common lawsuit risks for CPA firms and read on for advice on staying out of court. Fraud: In theory, CPAs should not have to be cops on the lookout for hustlers, fraudsters, and other people with malign intent. In reality, if you and a client do business with somebody who turns out to be dishonest, the client will insist you should’ve known better — and will file a lawsuit demanding that you repay their losses. Malpractice: When tax season arrives, it’s a CPA’s solemn duty to make sure clients pay only what they owe and no more while reducing their risk of being audited. All year round, CPAs conducting audits cannot afford to miss any potential landmines in the clients’ bookkeeping practices. Letting your guard down and allowing lax professional practices is a sure way to client losses that invite a lawsuit. Poor record-keeping: Handshake agreements and verbal promises are too easy to misinterpret and too difficult to defend in court. 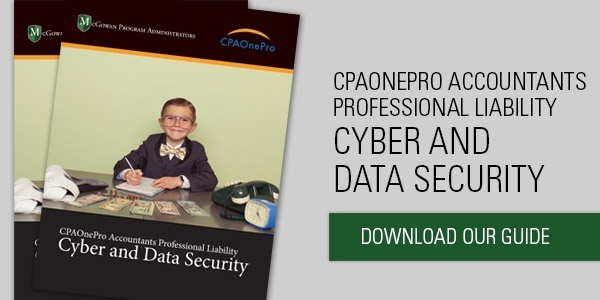 Sensitive client data — which is pretty much all data for CPAs — that falls into the hands of hackers or cybercriminals can inflict profound damage that clients will seek to recoup. Ambiguity in your contracts and other documentation can be exploited by clever opposing counsel. Taking sides in disputes: The Mom-and-Pop business that grows into a multimillion-dollar enterprise might seem like a CPA’s dream client. But if the founders’ marriage collapses, accountants who favor Mom over Pop can find themselves in the thicket of an expensive divorce case. Going into business with clients: Seeing a company’s books gives CPAs alluring insights on investment opportunities. The trouble is that investing in a client’s business creates an inherent conflict of interest. Because your first responsibility is to protect your company’s prospects, you’re opening yourself up to a conflict-of-interest charge if your business partners decide to blame you for a marketplace reversal. Deep pockets: There’s a widespread perception that CPAs make a lot of money and have the resources to pay generous settlements to litigants. Larger firms with a roster of successful clients make especially attractive targets. CPAs cannot do business paralyzed by fear of lawsuits; they just have to reduce their risk of becoming entangled in costly disputes. Scrutinize all clients: Screen your clients carefully, talking to their previous CPAs and whoever recommended them to you. “It’s imperative that firms perform background checks on all new and existing clients,” Raspante says. Optimize engagement letter language: In your engagement letter, it’s crucial to spell out precisely the work you will perform for the client, and to tweak the language to align with shifts in regulations and accounting standards. “As the profession and liability exposure changes, so should the engagement letters that govern these engagements,” Raspante advises. Document and communicate thoroughly: Put everything in writing and make sure both you and the client understand the decisions you will carry out on their behalf. If you advise a client to take a specific course of action, written proof of the advice will be required in court. Without clear and straightforward documentation of your advice, you may not be able to prove to a judge or jury that you ever gave it, Raspante says. If you and a client part ways, apply the same level of care to the termination letter. Part of your risk strategy also should include retaining counsel who will aggressively defend against frivolous lawsuits. Lawsuits generally involve a disputed interpretation of events that caused somebody’s misfortune. No matter how justified your actions are, an aggrieved client can force you to expend painful quantities of time and money defending yourself in court. And you can’t watch every employee all the time, nor can you control the actions of third parties who turn out to be poor partners in a business relationship. All these challenges underscore why MPA provides comprehensive liability coverage tailored to the needs and risks of CPAs, both individuals and firms. Please talk to us about securing coverage that can protect you from the potentially ruinous costs of CPA lawsuits.